This blog details how to create a chatbot on Outgrow. Moreover, it explains the easy process of embedding and customizing the same. 2019 is here and it didn’t come empty-handed. We have updated Outgrow and added a brand new interactive experience- Chatbots! However, we won’t jump straight into the art of creating it. Let’s go back to the basics! A chatbot is a tool that allows the user to conduct conversations with a user without the need for human personnel. Basically, it handles all the grunt work so the employees can use their time for more productive purposes. The Outgrow Chatbot allows you to gather information from a lead or a user. The most noteworthy point is it requires no CS knowledge or coding! In fact, creating this chatbot is just a matter of minutes. Moreover, this experience can be seamlessly integrated into a pop-up, a chat or any custom embed. Seems like it’s too good to be true? For the purposes of this blog, we’ll create a chatbot for a bakery shop. The aim of this chatbot will be to take orders from the clientele. The beautifully designed experience will help us attract more leads. Moreover, it will eliminate the hours wasted by the baker’s employees while taking clients order. 1) Log into your account and choose the “Chatbot” content type. 2) Head over to the builder and select an appropriate heading, button text, and picture. Moreover, you can choose to use your own logo or not have one at all. 3) Create questions that suit your needs. For instance, in this chatbot, our first question is ‘Are you looking to order a cake’? 4) We have included two options here- Yes or No. This is in line with the best practices for chatbots. In fact, head over to this article for more such practices. a) Text Input- This allows the user to input the answer manually. b) Multi-Select- This allows the user to select numerous options. c) Single Select- This allows the user to select a single option. d) Rating- This allows the user to reply in rating. e) Date/Time Picker- This allows the user to select date and time. You can choose to add a Logic Jump to any of your questions. However, this is will be based on the input by the customer. In this case, if the user chooses to select ‘No’, we can redirect him to the results page. Consequently, we can redirect the user to the bakery’s website from there. It is possible that you have abundant options and do not want to enter manually. In such a situation, you can upload your options through an Excel sheet and CSV format. We've put the lead generation form after the questions in this experience. With the new added ‘Chat embed’ feature on Outgrow, gathering leads will be easier than ever. Design your Outcome page with preferred pictures and social media channels. Furthermore, you can customize the widget title and its description. 1) Build integrations to send your Outgrow leads to other apps. For example- Salesforce, Marketo, Aweber, Mailerlite etc. 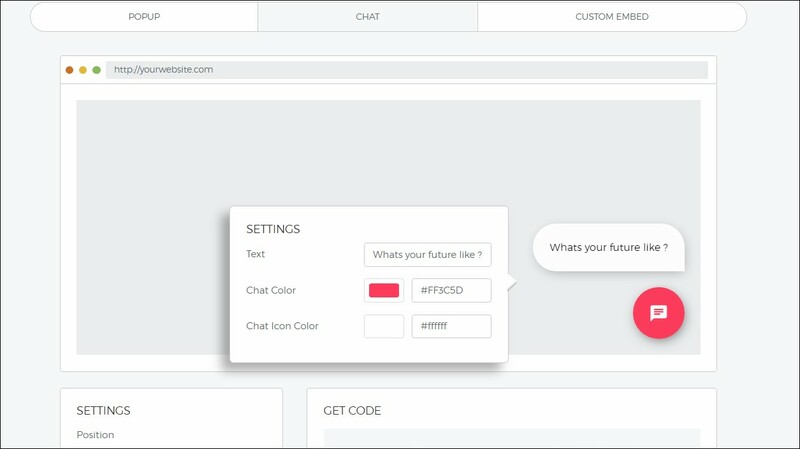 You can also embed the chatbot in a pop-up, chat or a custom embed. We hope this blog gave you a fair idea about how to create a Chatbot experience on Outgrow. Still, need help? Our 24*7 customer service is here for you.